These packs are absolutely great for any activity or adventure you have planned! 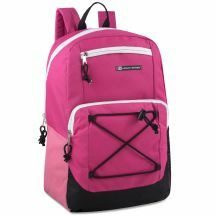 With its large design this backpack is packed with cool features including stylish bungee cord detailing, adjustable and sturdy straps, two mesh side pocket for easily storing water bottles or gear, and two front pockets for added storage. 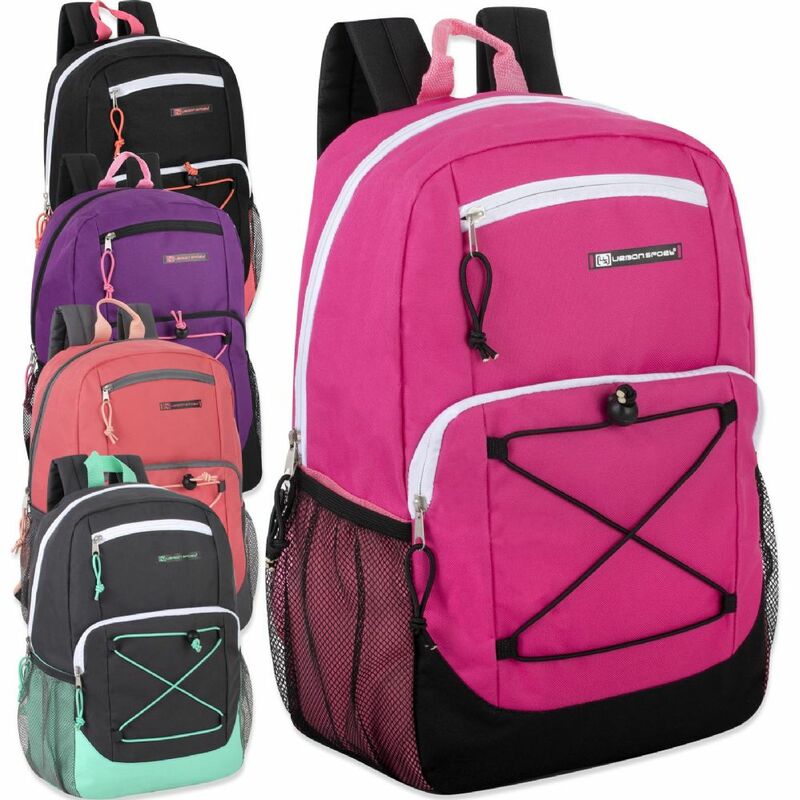 This pack measures 18 x 13 x 6.5 and can be trusted to comfortably and effectively transport all of your precious goods.